It’s going to be impossible to talk about Jailbird without mentioning it’s previous incarnation, so let’s get that giant lobster out of the room. Nosh and Quaff is dead. All three floors of it, from the top bar to the toilets nicked from the set of Saw in the basement. I was sad when I initially found out about it; I quite enjoyed it’s frivolities and it’s name summed up my ideal Friday night. In its place is Jailbird, a New York style concept that makes much better use of the vast space. Ground floor is now a glorious looking cocktail bar, upstairs an homage to the Mid Town steak houses. 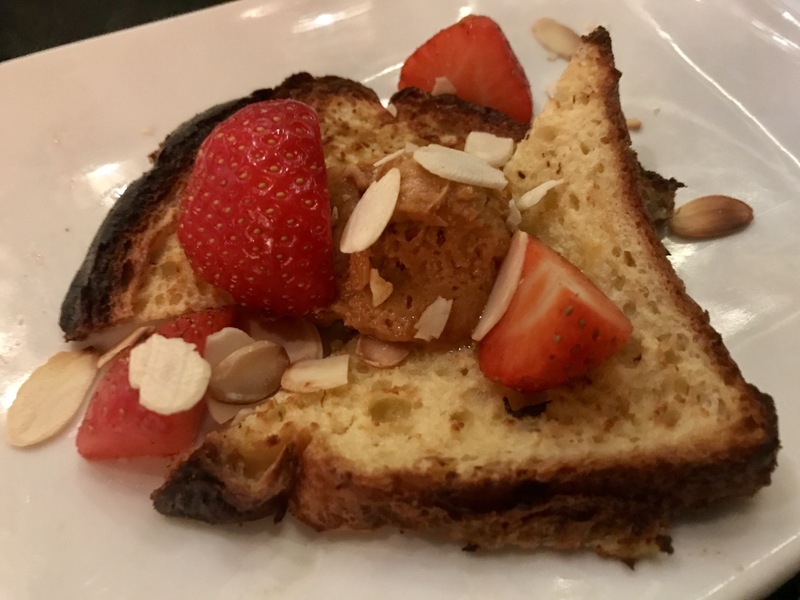 The menu is bigger; more approachable with greater options. The emphasis is on large cuts of animal with prices to match. It seems a given that it is going to work. 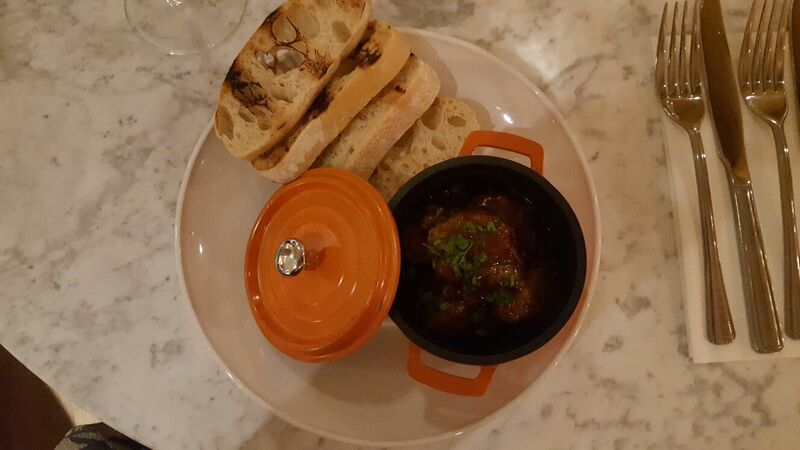 It’s a much more appropriate fit to the suits of Colmore Row and there is no need to get messy or wear a bib here. 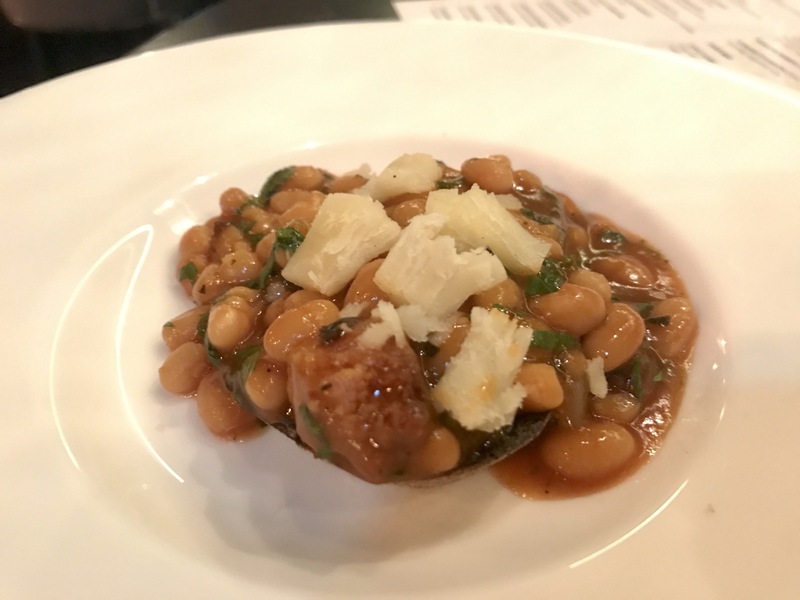 The service is super slick and the food already to a high standard, with my only issue that of portion size; something that I will come back to later. A disclosure at this point; I had an emergency at the dental practice a couple of hours before meaning the food I order is not what I had been eyeing up. It’s okay, I’m taking it as reason to return. My starter of scallops, bacon and sweetcorn is huge; a pile of coarse sweetcorn puree cut with a little lemon juice and plenty of chilli. The scallops are well timed to a lovely medium without being fleshy, though there is not enough of the salty bacon to reign in the sweetness. 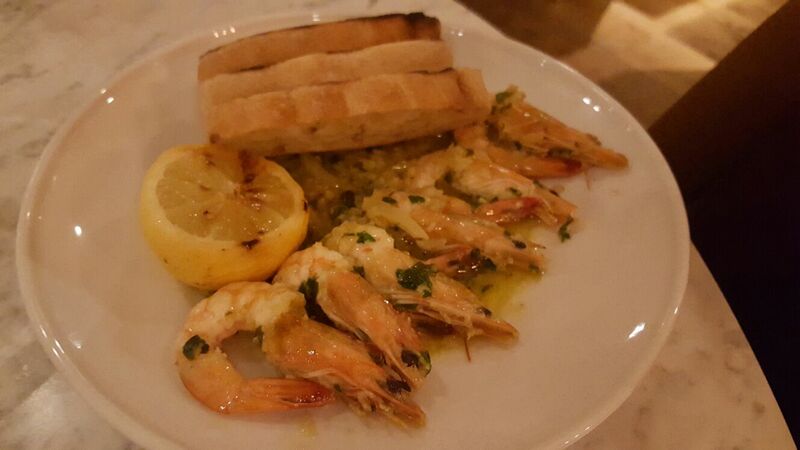 It is a dish that shines through its simplicity, the kind that makes me happy. I get to try some of the softshell crab, another generous portion. The crustacean is lightly battered with just enough heat from the cayenne, whilst the salad underneath makes the best of this seasons asparagus. I wanted steak for dinner, and I am forced to watch my dining companion eat a large flat iron that cuts to a perfect medium rare. It is a serious bit of steak, that much I can tell you. I have black risotto with black garlic. It’s black on black, The Cure of culinary dishes. A dish the colour of my soul. The rice still retains bite, the black garlic adding an umami crash of fig-like sweetness once popped out of their coats. It’s rather good. No one takes desserts because they are all taking food home. Portions are that big, and I expect in time that the steak sizes will shorten with the price. Sure it’s pricey in parts – mains range between £13.50 and £59.00 – but there is value to be found if you take the flat iron chicken from the bottom of that price range. How do I score it? 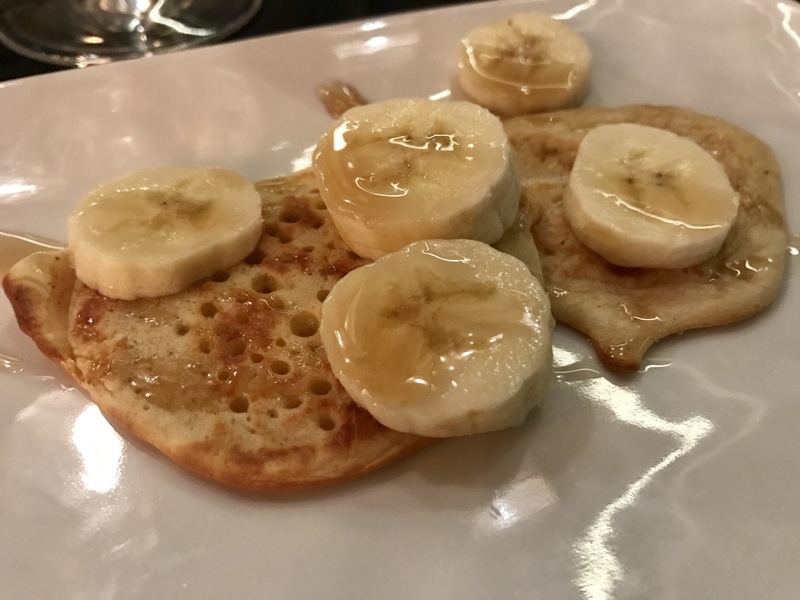 In all honesty with a little difficulty; as I mention before I ate differently to how I intended, but lets be clear, everything I did eat was very nice. 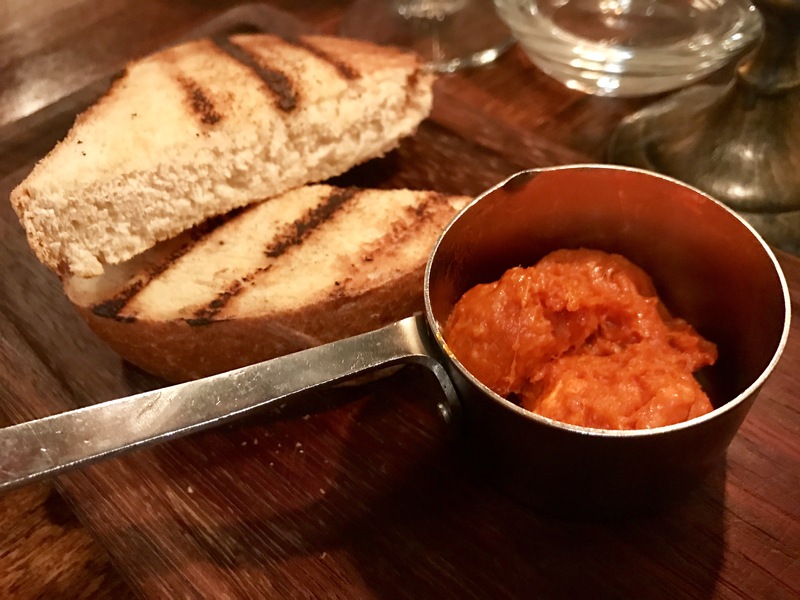 There is a lot to admire about Jailbird, from the gorgeous bar downstairs, good cocktails, a very affordable lunch menu and some very competent cooking. I enjoyed it and look forward to returning soon. 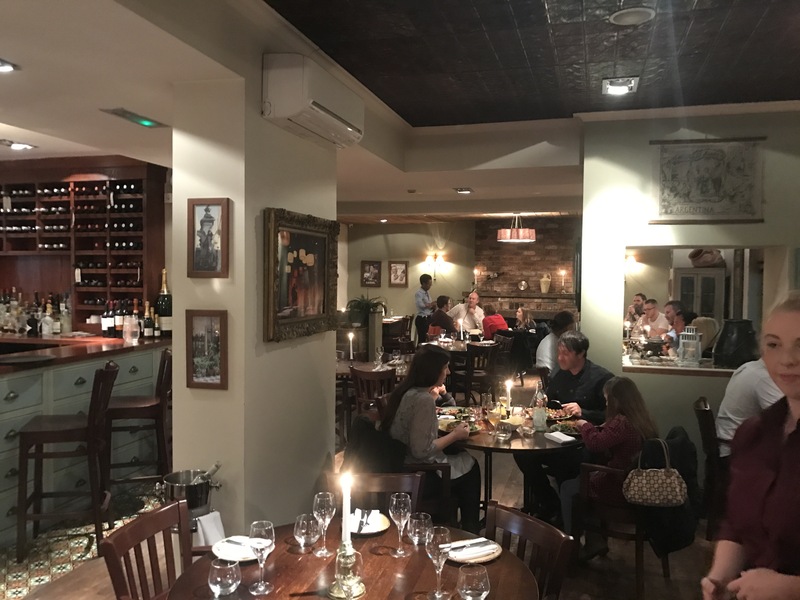 Gaucho arrives in Birmingham on a tsunami of hype, being the first to open from the group for seven years and choosing little old Brum for the honour. I’m going to stick my neck out and speak for the city; we’re delighted about this. 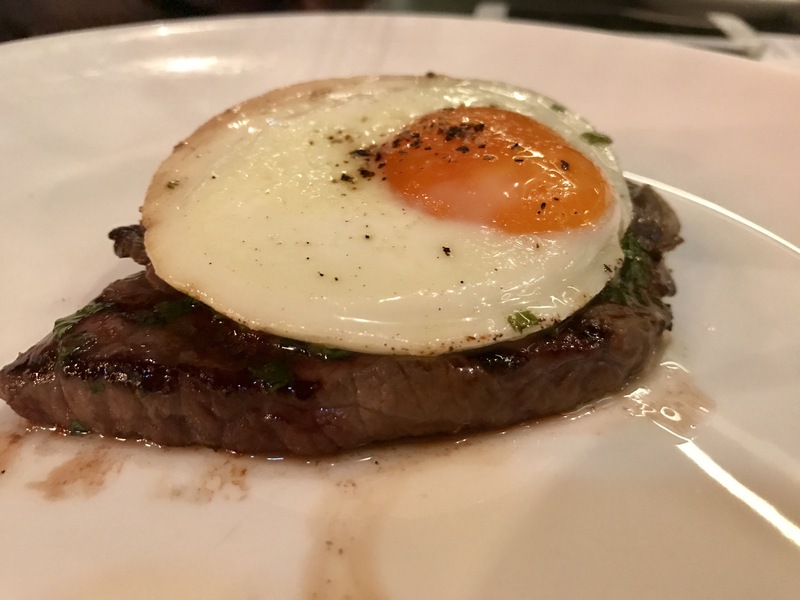 Good steak in Birmingham is a rarity, and even then it’s a decent walk from the centre to get a fix. The principles of a steakhouse are not difficult – source cow, age cow, cook cow, rest cow, eat cow – yet the realities are often a disappointment. I’ve stopped eating steak out because of it. It defies the very reason I eat out, which is to have an experience better than I can create at home. I know an excellent butcher and I cook it better than the majority of places. 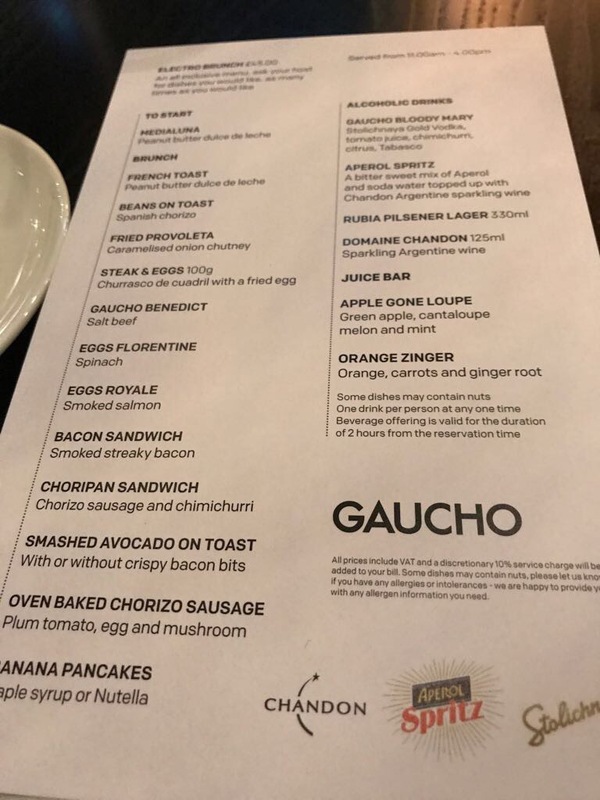 So let me thank Gaucho one more time for delivering the best piece of cow I have eaten in this city, in the sexiest dining room I have eaten in quite some time. It is a sultry space of plush purple seating and low lighting. There are abstract trees in the centre of the room and leaf murals lining the walls. It’s a place to impress, whether that be the partner, the affair, or the colleague. I am here on a night to showcase the beef, and boy, what beef it is. Argentine prime cattle, wet aged for longevity. 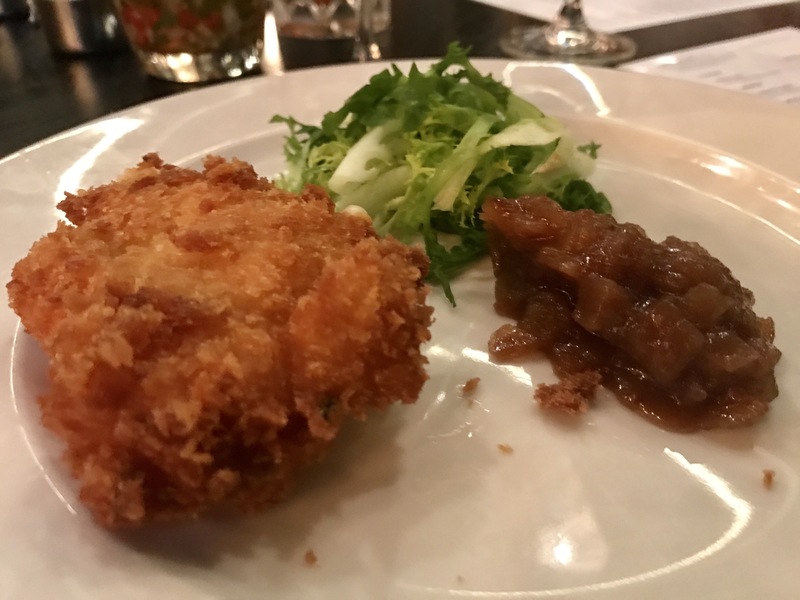 After some nibbles of raw bits and some slow cooked bits, we sit down and tuck into a scotch egg with coarsely chopped cow replacing the pig. It’s bold and funky, almost reminiscent of tartare when the yolk is released. A chipotle ketchup swings us back over to South America. It is the ultimate pub snack, twenty times more masculine than any pork scratching. I like it a lot. 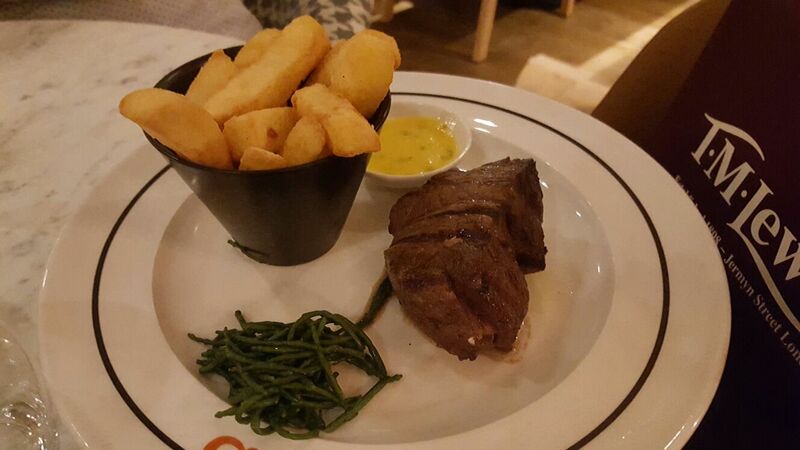 Our main event is a fillet cooked to a perfect rare. It is, as I reference above, the best piece of beef I have eaten in this city. It’s not a cut I would usually order – I far prefer a bit of chew and more flavour – but it’s one I will go back to again. Buttery in texture, full of flavour and aggressively seasoned. It is wonderful. A decadent truffle compote has the underlying earthiness of mushroom, with a carrot and parsnip dauphinoise that I will try and fail to recreate at home. If this is on the menu order it. If it’s not stamp your feet and insist that they make it for you. There was dessert, but if I’m honest I’d make too many trips to the Malbec tasting room and by now all I wanted to do was go and meet a girl. I was extremely tipsy and don’t recall that much about it other than the panna cotta was well set and I cleaned the bowl, which means it must have been good. The sticking point for some will be the price – it’s not cheap. Order three courses, including the fillet and a couple of glasses of wine from the bottom of the list, and you’re looking at a spend of £70 a head. For that price you expect fireworks, and, if steak is your thing, you can expect it here. 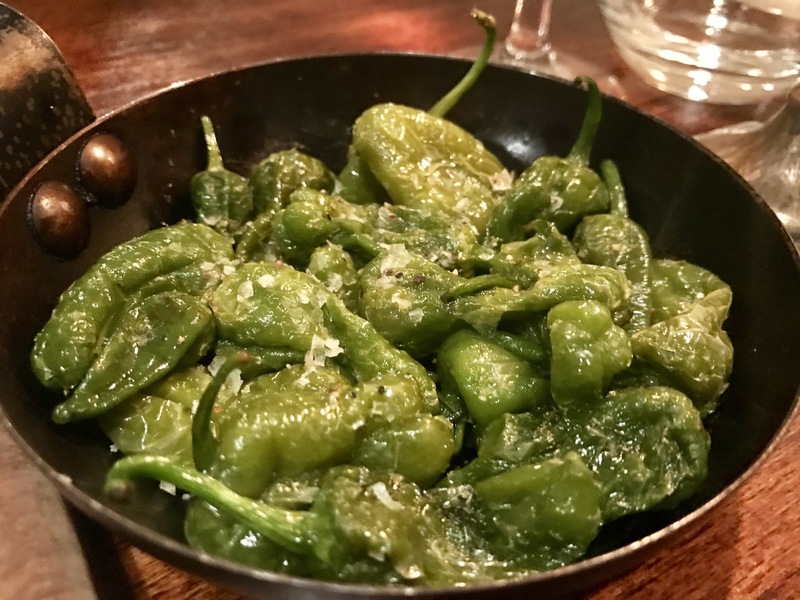 It is obvious the level of effort that has gone into making the newest Gaucho a success, and it has paid off with aplomb. 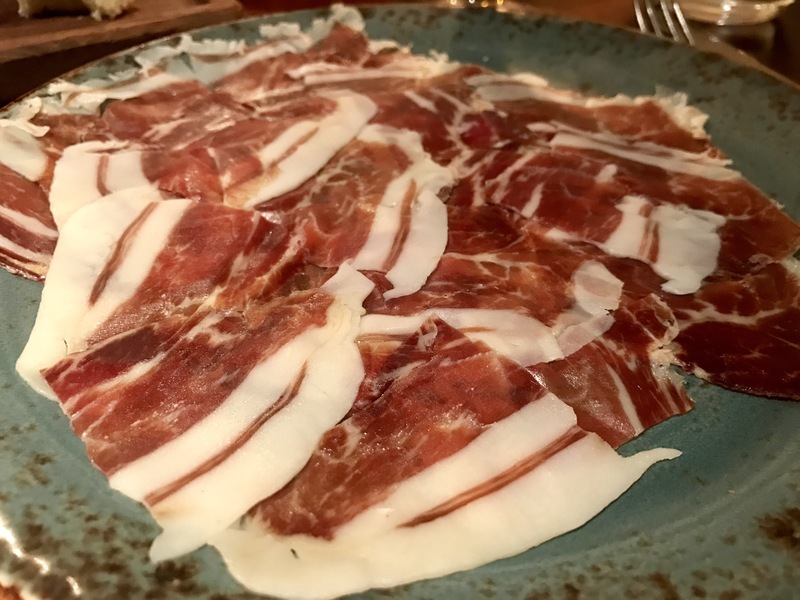 Gaucho has the making of a Birmingham classic, and I for one cannot wait to keep on going back. Steakhouses are a difficult niche to get right, it requires careful sourcing and more careful cooking. Get it right and you have a potentially open chequebook of pricing; Wolfgang Puck’s ‘Cut’ in London being the obvious reference point where you can pay north of a ton for a rib eye. 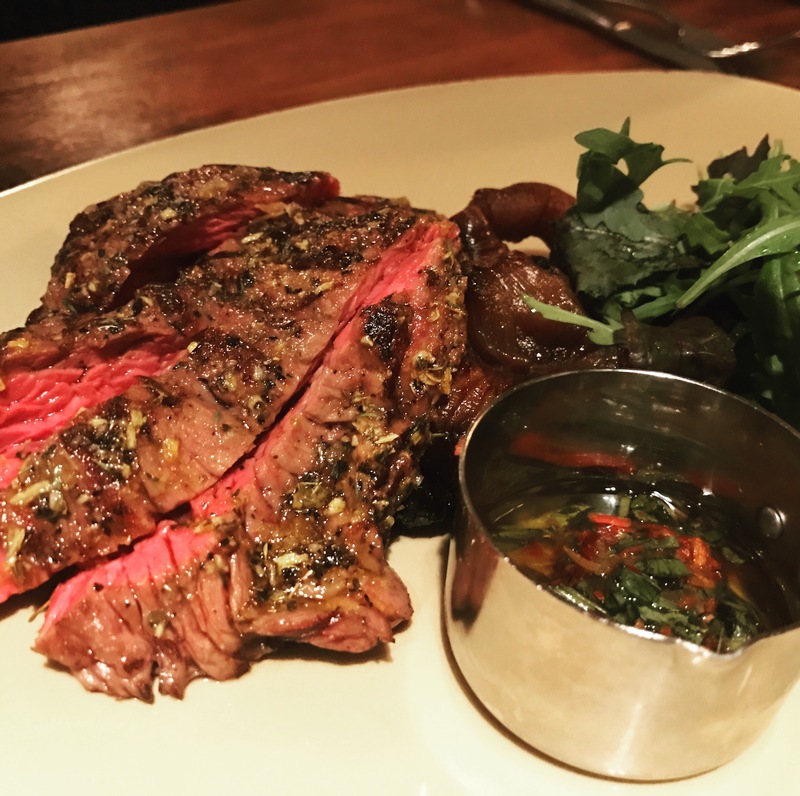 Birmingham does not have anywhere quite that ludicrous, though we do have a few places that take steak seriously with a serious price point to boot. 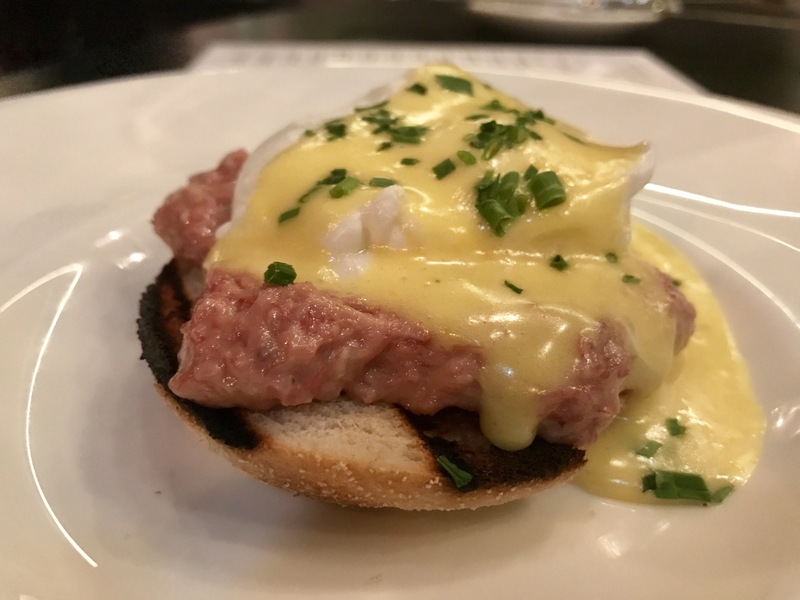 I accept an invitation to review the new Beefeater Bar & Block because it probably would have passed under my culinary radar otherwise. 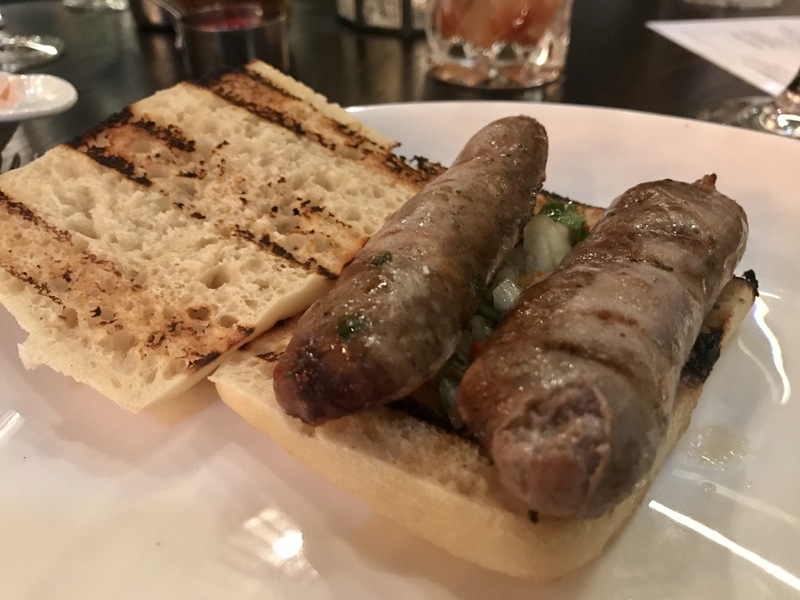 If I am being honest, had I been paying I probably would have headed to one of Brum’s more established steakhouses which I am yet to post about over one with Beefeater in the title. And for that act of snobbery I would have missed out, for in parts it was very good indeed. 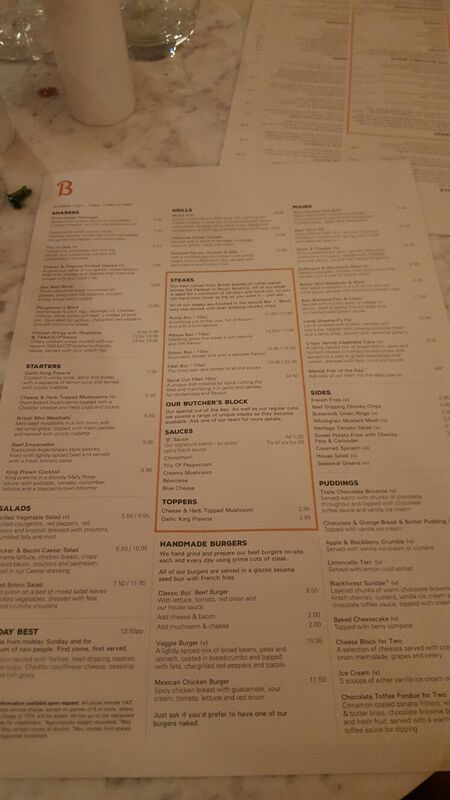 Inside Bar and Block is very much the modern steak house. Bare brick walls are given light by a neon cow that sits at the bar end of the room. We take place at a faux marble table, well lit and near the open kitchen. 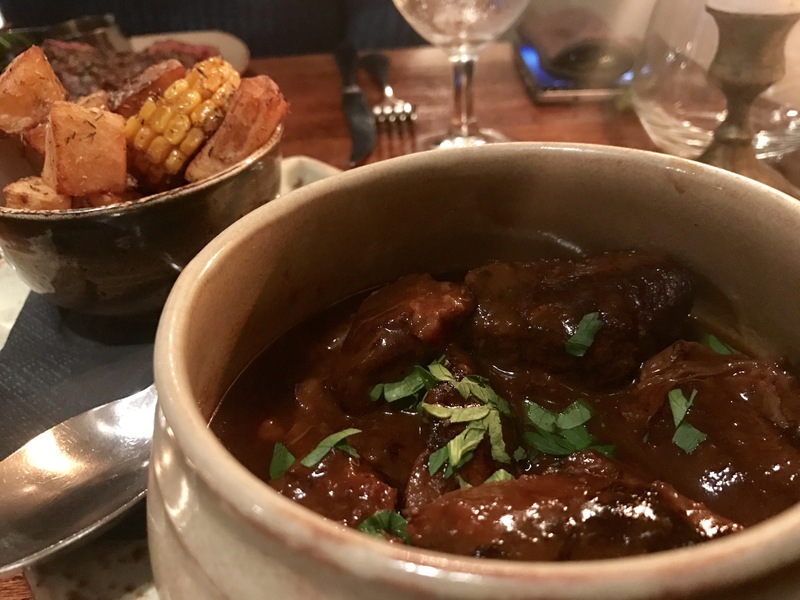 Staff are well drilled and we are talked through the varying cuts of beef that sit centrally to the menu, before taking little notice of their recommendations. 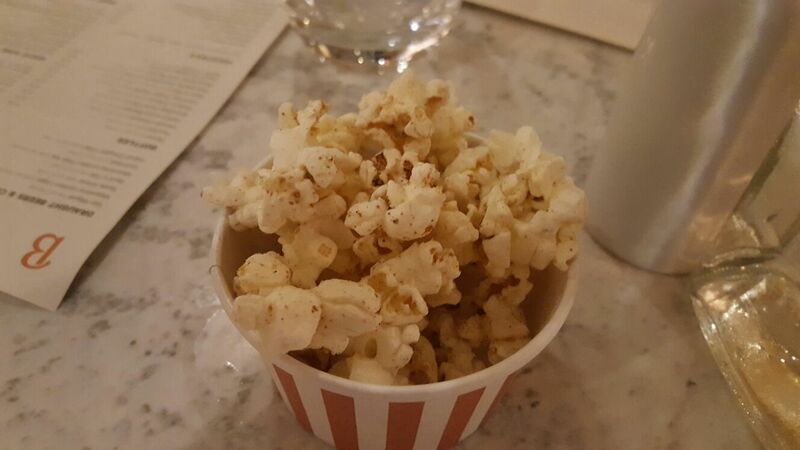 Beef fat flavoured popcorn instantly makes me like the place, as do king prawns, gently cooked and drenched in a butter sauce with the zing and heat from lemon and garlic. These are better than a starter of mini meatballs which are well made, yet pulled down to the level of the bland tomato sauce they are sat in. Here comes the money shot. A fillet of beef shows exceptional skill at the art of cooking a piece of meat to order. We ask for it medium rare, it arrives as that: butter soft cow, seared on the outer, with a consistent pink inside. It has been properly rested so there is no bleeding on the plate. There are good chips and an overly sharp béarnaise, but this matters little when the meat is this good. 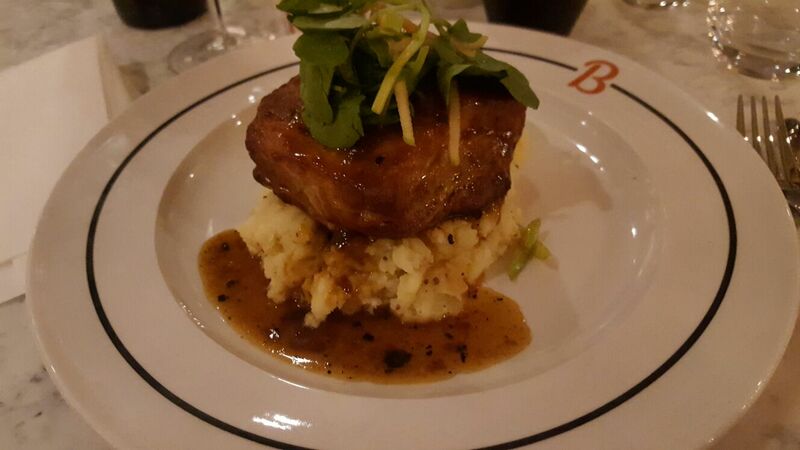 A belly of pork is too large a portion and too cheap for the quality served, with a mustard mash and batons of apple that cut through the animals fattiness. 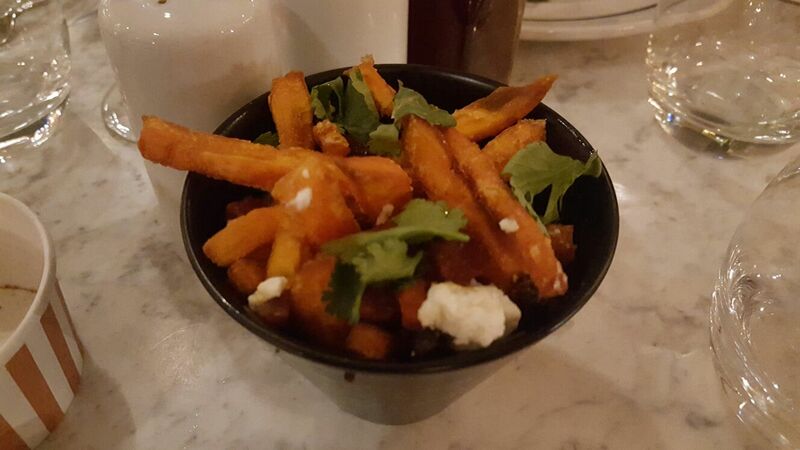 Sweet potato fries with feta and chorizo are a nice ideal well executed. By now we are both cursing ourselves for ever questioning the quality, which dessert confirms was no fluke. I find the cheesecake too sweet, though my dining partner for this evening virtually licks his plate clean, despite claiming minutes before that he was too stuffed to eat anything else. 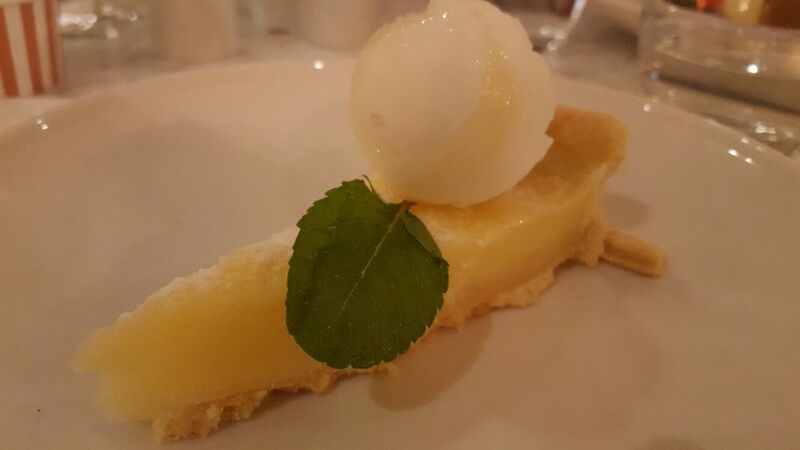 Best is a lemon tart which finds the right balance of sharpness atop of some remarkably short pastry, with a lemon curd sorbet to bolster the citrus flavour. It is faultless in execution. We don’t have a bill tonight but total up how much it would have been and agree that its seriously good value. Three courses here would just about cover what I payed for a truly dreadful steak close by at a celebrity endorsed restaurant with a nice view. 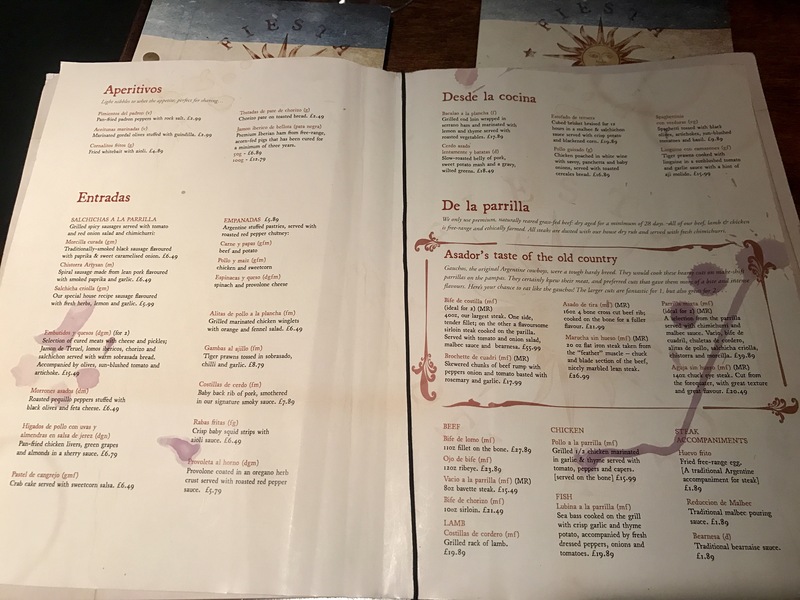 Any prepositions I may have had about its attachment to the brand were short lived: We had some good food and a great steak in a nice environment, all served by attentive staff that happen to care. Bar and Block is a welcome addition to the city which I will gladly return to.